Home > Crochet > Free Crochet Patterns > Exclusive Namaste Coupon Code for Petals to Picots Readers! Exclusive Namaste Coupon Code for Petals to Picots Readers! I am so thrilled to share this special offer for you from Namaste, Inc.! 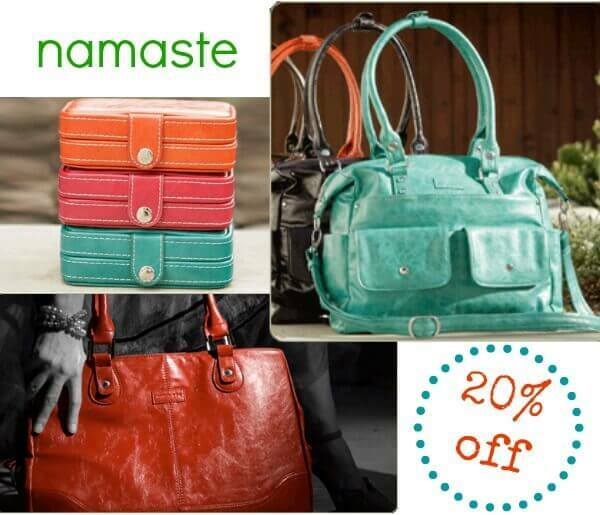 Namaste has so generously offered to extend 20% off their gorgeous line of products especially for P2P readers!! This exclusive Namaste coupon is for 20% off on Namaste.com. Just type in coupon code PETALS20 to redeem your 20% off. But hurry … Offer expires on Saturday, Nov. 16th! And be sure to pop over to Namaste’s Facebook page and give them a big thanks for the offer.